Molten bronze edged petals meld with the red hot coloring of this classic late summer annual. 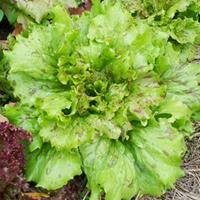 Earthy pungent dark green foliage grows sturdy and full, producing the most flowers if a low nitrogen rich phosphorus and potassium fertilizer is used. Flecked and edged in many color combinations, these chalice-shaped flowers of crinkled satin display misty shades of vanilla, soft pink, apple-blossom, scarlet, slate blue and pure white. 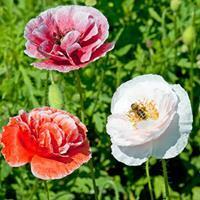 The thin, wiry stems support gently tipping flowers. 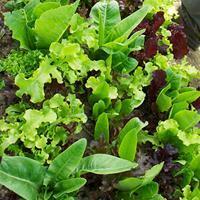 A spring to early summer treat, they can be sown in fall and again in early spring for a longer show. Self sows. Gray-green felted leaves, soft as a kitten's ear, make this sunflower a standout in the garden. The four inch wide golden ray flowers with chocolate centers bloom in summer on a many-branched plant. Fall will bring goldfinches that swoop about the garden devouring the ripe seeds. A variety of Helianthus argophyllus called 'Texas Silver Queen' was listed in an 1897 catalog! 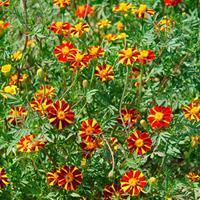 Another classic zinnia, perfect for cut flower gardens! 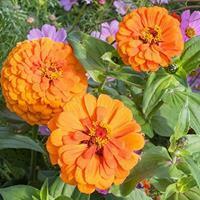 'Eldorado' is a salmon orange color with large double blooms. Listed in a 1933 catalog.